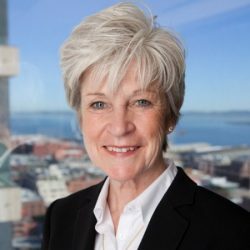 In this edition of Industry Perspectives, Karen Morgan, president and CEO of Dynamic Energy Networks, explores what DEN calls the “community resilience imperative,” and how innovative private funding strategies are streamlining the path to sustainable, local economic success through energy-as-a-service. Karen Morgan, president and CEO of Dynamic Energy Networks. The central goal of both public and private stakeholders in a community is to build long-term economic viability. This can only be achieved by securing the nation’s critical infrastructure, “the essential services that underpin American society and serve as the backbone of our nation’s economy, security and health” (U.S. Department of Homeland Security) such as energy, water, transportation and communication systems. While many public leaders acknowledge a longstanding need to improve critical infrastructure, increasing spending to address it can have political implications. Nonetheless, it has become pointedly clear that the cost of inaction can be more damaging. How are innovations in energy technology (including the rise of microgrids) as well as in funding (including flexible public/private partnerships) bringing new opportunities to not only address risk but to transform cities and localities? A consensus is arising, including at the federal level, that public/private partnerships are vital to meeting these financial challenges, addressing environmental sustainability goals, and achieving long-term economic viability. While the ideal partnership of public and private resources will vary for every community, three principles are vital to all: flexibility, scalability, and risk reduction. Local leaders need partners that understand and can aid in compliance with the governance model that meets their specific needs. That means developing an approach that can deliver robust and innovative energy solutions to municipalities without overspending taxpayers’ dollars while maintaining their desired level of control over the project. Energy-as-a-Service (EaaS) allows governments to partner with private sector equity to avoid large upfront capital expenses and to replace them with a long term, predictable operating expense. The EaaS approach is built on partnerships with the goal to provide the community with the optimal level of control and oversight – while avoiding the risk of debt to complete their project. The EaaS process starts off with a collaborative effort between the community and a private capital partner to determine the appropriate economic and governance models for the end user’s desired level of control and investment. Effective private sector partners can help municipal officials identify the optimal level of financial and technical risk to transfer onto third-party solution providers. The municipality then transfers that risk and the capital expense associated with it to their partners. This frees the municipality from the burden of maintaining and operating the assets and alleviates worry over value depreciation and potential technological obsolescence. EaaS secures a predetermined quantity of energy under agreed-upon performance metrics and provides a single point of accountability for project delivery, quality of equipment, construction, and operations. Local leaders need partners that understand and can aid in compliance with the governance model that meets their specific needs. One innovative EaaS approach that was undertaken at a municipality — serving an area with a large residential population, multiple corporate offices, and federal campuses — looked to meet its goal of being able to fully “island” their critical operations from the grid during a catastrophic regional event. They needed to avoid upfront capital expenses in the short term and to reduce the risk of escalating energy prices in the future. For this municipality, securing the ability to go off-grid for days at a time was simply a matter of contracting to secure power at a fixed rate. 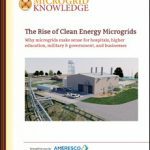 It made no outlay for capital expenses related to the construction and deployment of the microgrid and they secured predictable future costs of energy through predictable rates (tied to a percentage of retail rates) under a 15-year contract with the microgrid owner/operator. The team of experienced energy sector players assembled the mix of infrastructure assets and technology to make it happen. They brought new solar and gas CHP resources online, upgraded low- and medium-voltage gear, and implemented advanced cybersecurity and control systems. They identified and hardened critical resources against a wide array of human and natural threats. Private funding strategies are streamlining path to energy resiliency. The resulting microgrid was smarter and greener than the original utility assets and can be scaled up further to include additional assets as needs evolve. Because the municipality doesn’t own the assets, it also doesn’t carry the risk of its solution becoming outdated as the community evolves in the coming years. The EaaS approach effectively streamlined achievement of its goals, thereby delivering results. Receives consistent and reliable delivery of essential services, irrespective of weather and grid reliability. In our communities, most all stakeholders benefit when the uncertainty of future power costs become predictable. With private sector involvement energy prices are defined in a long-term contract, whether it is structured as a PPA (power purchase agreement) or an ESA (energy service agreement), a concession agreement, or any combination of financial contracts. In addition, combinations of rebates, tax credits and carbon offsets can often provide additional financial benefits through the integration of clean energy. However, these incentives can be difficult to identify and manage for public entities. Partners in the private sector are positioned to help municipal governments navigate these challenging programs. Elected officials and business owners are able to make better budgeting forecasts for their energy expenses and ensure energy reliability for their citizens and employees. Dynamic Energy Networks provides the technical and financial expertise to identify and implement the correct contracts and incentives, introducing benefits and opportunities to mitigate risk for the end user. Across North America, communities face challenges to find ways to integrate renewable energy assets and cost-effectively advance energy resilience. Each community is in its own fight to rebuild and modernize their critical infrastructure. Whether at an airport, on a campus, or in a mixed-use environment these facilities need to be prepared for our changing climate and evolving lifestyle. Today the new financial approaches and private funding strategies are providing long-term value to communities and their critical infrastructure through resilient, sustainable power in a flexible, off-balance sheet solution. With limited public funding available for infrastructure improvements, municipalities can rely on trusted private sector capital partners to unlock innovative and flexible solutions to meet the needs of all stakeholders in the community. Karen Morgan is president and CEO of Dynamic Energy Networks.